If our extensive reviews and comparison of personal media players haven't already help you make up your mind about which one to buy, Sony just made your decision a whole lot more difficult by launching two new Walkman video MP3 players in the Indian market. Sony India has expanded its Walkman Video MP3 player family with the new NWZ-S540 and the NWZ-E440 series – promising superior audio and visual entertainment on-the-go with enhanced Sony audio technologies. The S540 series integrates Sony’s new and exclusive Digital Linear Phase Speaker System in its slim and compact frame. Combined with its large 2.4-inch LCD screen (240x320 pixels), the player allows users to share their favourite music effortlessly with friends and family. Weighing in at a featherweight 54g, the affordable E440 series also features a 2.0-inch LCD screen and promises a rich experience for audiophiles. The Digital Linear Phase Speaker System is developed by Sony to enhance sound quality from stereo speakers. The advanced audio technology allows for natural sound reproduction and powerful bass sounds to be amplified in a compact body. With superior sound quality brought about by the stereo speakers, the new Walkman S540 series and E440 series provide exceptional audio experiences for users who enjoy music on-the-go. Combined with Sony’s unique Clear Audio Technology with Clear Stereo and Clear Bass the new Walkman players deliver excellent audio experience with crisper, cleaner sounds. Both Walkman series feature an extended battery life, with up to 42 hours of music playback and 6.5 hours of video playback on the S540, and up to 30 hours of music playback and 6 hours of video playback on the E440. For users who like to wake up to their favourite tunes every morning, the Walkman S540 features the new Alarm function which allows for users to set a daily ‘wake-up call’. A timer function switches off the Walkman within a set time, which helps to preserve battery life and enable longer hours of audio enjoyment. Also incorporated are voice and FM recording and multiple codec support for convenient music and video playback. In addition, the included Content Transfer software easily transfers files such as music, movies and photos from Windows Explorer, iTunes or even Cyber-shot cameras to the Walkman with its simple drag-and-drop interface. The S540 series is also bundled with a convenient stand, making it easy to prop up the player instead of holding it when watching videos or recording lectures. The 4GB Sony Walkman NWZ-S540 is available in a solid black body for Rs. 6,990. 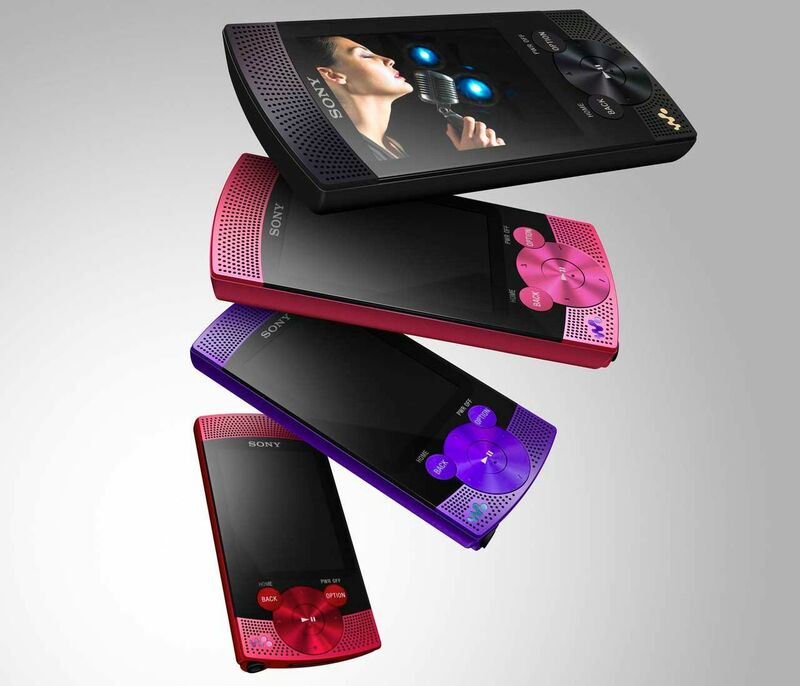 Meanwhile, the E440 comes with several different colours (red, pink, violet, black) and costs Rs. 5,990 for the 4GB model and Rs. 6,990 for the 8GB model.